Whether they’re with you or you’re just discussing them, pets provide a great means to interact with others. Many pet owners would agree that a pet can fill your heart with love. So maybe it’s only fitting that the presence of a pet can help improve the overall health of that organ, too. Research has shown that pet owners exhibit decreased blood pressure, cholesterol and triglyceride levels, which can inimize their risk of heart attack. Need a little motivation in the exercise department? 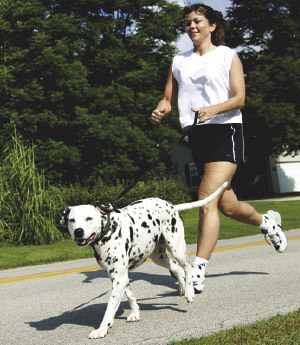 Dogs can act as the perfect personal trainer with their daily walk. Not only are pets known for offering unconditional love but they also give a sense of purpose and companionship. Research now documents the value of the human-animal bond in child development, elderly care, mental illness, physical impairment, dementia, abuse and trauma recovery, and the rehabilitation of incarcerated youths and adults.